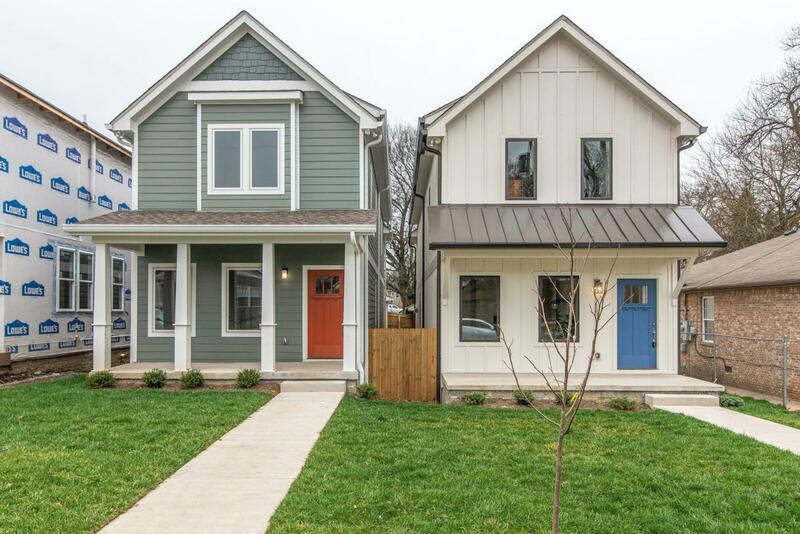 Live in the Buchanan Arts District, minutes from Germantown. Enjoy Slim & Husky's Pizza, the shops Emil Erwin, Otis James, & more! 3BR/3BA, Hdwoods, Quartz Ctops, GE Slate appl.& farm sink. Gas fireplace w white mantle, custom cabinetry K and Baths. Open floor-plan, 2 Covered Decks & Front Porch, Fenced Back Yard w Garage-port. This unit A (gray green color) has traditional finishes. See Unit B w contemporary finishes. Pick one. Interior pics are of Unit B. Units not attached.